Impressive clumps of deeply cut dark green leaves- often appearing in greek statuary and architecture- mimicing soft thistle foliage. 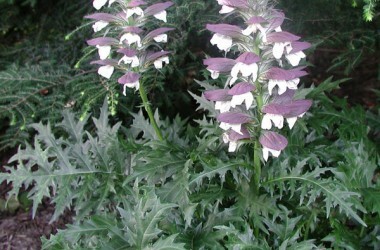 But producing very unthistlle-like tall stong columns of ornately purple toned bracts from which emerge ivory blossoms. 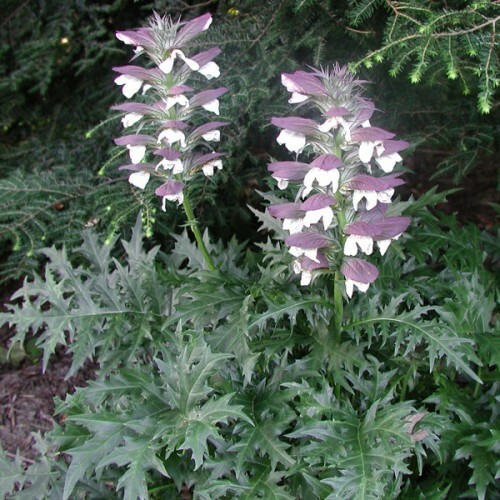 Very impressive eastern European mountain native performing best with rich soil and moist root run.